Home News A Love Letter…..
Wednesday was one of those rare days when I was able to break out of the studio, this time it was for a meeting over at The Keswick Museum. 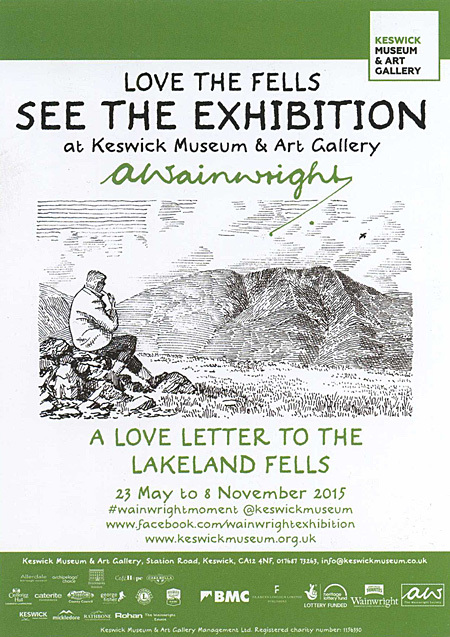 Some of you may already know that over the summer the museum is holding a major Wainwright Exhibition, A Love Letter to the Lakeland Fells which will be a celebration of AW’s work and it ties in with the 60th anniversary of the publication of his first book in the Pictorial Guides to the Lakeland Fells. I have been fortunate and honoured to be asked to be part of this exhibition and so it was on Wednesday that I handed over a couple of items for the display. 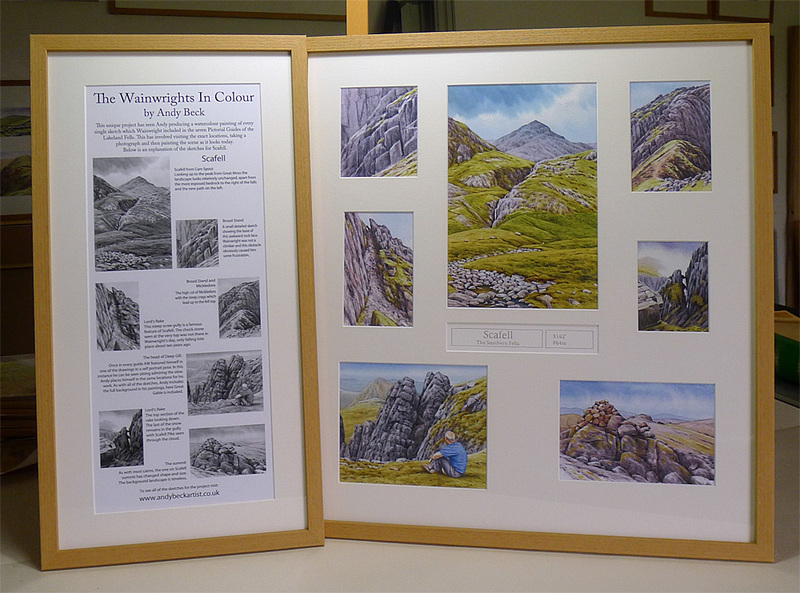 It was intended to lend the museum a couple of original works for the show but this would have been impractical so as an alternative I produced a one off copy of one of the fells- Scafell complete with an explanatory piece on how the work has been completed. Discussions also took place about the possibility of me giving a talk on the Wainwrights in Colour project, no date has been fixed as yet as it will tie in with the publication of the book but as soon as we have details of when and how to obtain tickets I will post the information on here. So, if you are in Keswick over the summer perhaps a visit to the museum will have to be added to your agenda. Not only is it a great museum but there is a cracking little cafe downstairs. For more information on the exhibition visit the museum website: www.keswickmuseum.org.uk.